Home JAMB UTME and DE Guides 2019/2020 JAMB Brochure: All Courses, Universities, Polytechnics and Colleges COVERED! 2019/2020 JAMB Brochure: All Courses, Universities, Polytechnics and Colleges COVERED! One of the problems students face while seeking admission is combining wrong subjects in the UTME. If you find yourself in such a mess, see solutions to wrong subjects combination in my post, "What to do About Wrong Subject Combination in UTME". But you don't want to make mistake and later be looking for ways out. Hence, you will need to study my "Mini-Brochure" which I researched to let you know the right subjects to fill during UTME registration and write during exams. Note that the collection is as detailed in the updated official JAMB brochure. You should learn how to study official JAMB brochure to avoid admission errors. This collection will equally be your perfect guide if you're trying to do the change of courses and you want to be sure that your UTME subjects are right for the department you're now proposing. Note that the English language (or Use of English) is constant with all courses. In other words, every UTME candidate will write English irrespective of his or her proposed course. Hence, the subject combination below each course represents the rest three to add to the English. ARCHITECTURE: Physics, Mathematics, and any of Chemistry, Geography, Art, Biology, and Economics. BUSINESS ADMINISTRATION: Mathematics, Economics, and another subject. LINGUISTICS: One Arts and two (2) other subjects. ECONOMICS: Economics, Mathematics and any of Government, History, Geography, Literature in English, French and Christian Religious Studies /Islamic Studies. SOCIOLOGY: Three (3) Social Science or Arts subjects. FOOD SCIENCE AND TECHNOLOGY: Mathematics, Chemistry, and Physics or Biology. LAW: Any three (3) Arts or Social Science subjects. MASS COMMUNICATION: Any three (3) from Arts or Social Science subjects. INDUSTRIAL CHEMISTRY: Chemistry, Mathematics and any of Physics/Biology/Agricultural Science. POLITICAL SCIENCE: Government or History plus two (2) other Social Science/Arts subjects. INTERNATIONAL RELATIONS: Mathematics and any two (2) of the following: Economics, History, Government, Geography, Literature in English and French. COMPUTER ENGINEERING: Mathematics, Physics, and Chemistry. AGRICULTURAL ECONOMICS: Chemistry, Biology/ Agricultural Science and Mathematics or Physics. AGRICULTURE: Chemistry, Biology/Agriculture and any one of Physics or Mathematics. AGRICULTURAL ENGINEERING: Mathematics, Chemistry, and Physics. AGRICULTURAL ECONOMICS AND EXTENSION: Chemistry, Biology/ Agricultural Science plus Mathematics or Physics. BIOCHEMISTRY: Biology, Chemistry, and Physics or Mathematics. BANKING AND FINANCE: Economics, Mathematics, and any other Arts or Social Science subject. BUSINESS MANAGEMENT: Mathematics, Economics, and another subject. BUSINESS EDUCATION: Mathematics, Economics plus one (1) of Literature in English, History, Government, Geography, Chemistry, and Physics. BIOMEDICAL ENGINEERING/TECHNOLOGY: Physics, Chemistry, and Biology. BIOLOGICAL SCIENCE: Biology, Chemistry, and Physics or Mathematics. BIOLOGY EDUCATION: Biology and two (2) other subjects from Chemistry, Mathematics, and Physics. ENGLISH LANGUAGE/STUDIES: Literature in English, one other Art subject and another Arts or Social Science subject. 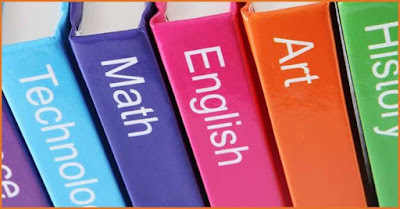 ENGLISH EDUCATION: Literature in English and one (1) Art and any other subject. EDUCATIONAL MANAGEMENT: Economics, Mathematics, and one (1) other Social Science/Arts subject. GUIDANCE AND COUNSELING: Any three (3) subjects. GEOLOGY: Any three (3) of Chemistry, Physics, Mathematics, Biology, and Geography. GEOGRAPHY: Geography and any two (2) other Arts or Social Science subjects. GEOGRAPHY AND REGIONAL PLANNING: Geography and any two (2) Arts subjects. SURVEYING AND GEO-INFORMATICS: Physics, Mathematics, and any of Chemistry, Geography, Art, Biology, and Economics. HISTORY AND INTERNATIONAL STUDIES: History/Government and any other two (2) subjects from Arts and Social Sciences. HOSPITALITY MANAGEMENT: Mathematics, Economics, and any other subject. HOTEL MANAGEMENT AND TOURISM: Chemistry, Biology/Agriculture and Mathematics/Physics or one (1) Social Science subject. HOME ECONOMICS: Chemistry, Biology/Agriculture and Mathematics/Physics or one (1) Social Science subject. LIBRARY AND INFORMATION MANAGEMENT: Any three (3) subjects. MEDICINE AND SURGERY: Physics, Chemistry, and Biology. SCIENCE LABORATORY TECHNOLOGY: Biology, Chemistry and either Physics or Mathematics. MICROBIOLOGY: Biology, Chemistry and either Physics or Mathematics. MECHANICAL ENGINEERING: Mathematics, Physics, and Chemistry. MUSIC: Music one (1) other Arts subject plus any other subject. NURSING: Physics, Chemistry, and Biology. PHARMACY: Physics, Chemistry, and Biology. QUANTITY SURVEY: Physics, Mathematics, and any of Chemistry, Geography, Art, Biology, and Economics. RADIOGRAPHY: Physics, Chemistry, and Biology. URBAN AND REGIONAL PLANNING: Mathematics, Geography and one of Economics, Physics, Chemistry. THEATER ARTS: Literature in English and two (2) other relevant subjects. FOOD TECHNOLOGY: Mathematics, Chemistry, and Physics or Biology. BUILDING TECHNOLOGY: Physics, Mathematics, and any of Chemistry, Geography, Art, Biology, and Economics. BOTANY: Biology, Chemistry, and any other Science subject. POLITICAL SCIENCE: Government or History plus two (2) other Social Science/ Arts subjects. DENTISTRY: Chemistry, Biology, and one (1) another Science subject. ENGLISH AND LITERARY STUDIES: Literature in English, one (1) other Arts subject, and another Arts or Social Science subjects. EDUCATIONAL ADMINISTRATION: Any three (3) of Literature. In English, History, French, Geography/Physics, Economics and Mathematics. GEOPHYSICS: Physics, Chemistry, Biology, and Mathematics. GEOLOGY AND MINING: Any three (3) of Chemistry, Physics, Mathematics, Biology, and Geography. INDUSTRIAL RELATIONS AND HUMAN/ PERSONNEL RESOURCES MANAGEMENT: Mathematics, Economics plus one (1) other subject. HISTORY: History and any other two subjects from Arts and Social Sciences. PHYSICAL AND HEALTH EDUCATION: Biology and any two (2) relevant subjects. INFORMATION TECHNOLOGY: Mathematics, Physics and one (1) of Biology, Chemistry, Agric Science, Economics and Geography. INTERNATIONAL STUDIES AND DIPLOMACY: Economics, Literature in English and Geography/Government/History. JOURNALISM: Any three (3) from Arts or Social Science subjects. OPTOMETRY: Physics, Chemistry, and Biology. FISHERIES AND AQUACULTURE: Chemistry, Biology/Agricultural Science and any other Science subject. FORENSIC SCIENCE: Biology, Chemistry, and Physics or Mathematics. LOCAL GOVERNMENT ADMINISTRATION: Government/History, Economics, and any other subject. MATHEMATICS: Mathematics and any two (2) of Physics, Chemistry and Economics or Geography. PERFORMING ARTS: Literature in English and two (2) other relevant subjects. PHARMACOLOGY: Physics, Chemistry, and Biology. PHYSICS: Physics, Mathematics, and Chemistry or Biology. PHYSIOTHERAPY: Physics, Chemistry and Biology. PLANT BIOLOGY: Biology, Chemistry, and any other Science subject. PURE AND APPLIED CHEMISTRY: Chemistry and two (2) of Physics, Biology and Mathematics. This list will continually be updated for other courses. Bookmark the page and revisit for updates or subscribe to my posts so you can receive the updates to your email wherever available.